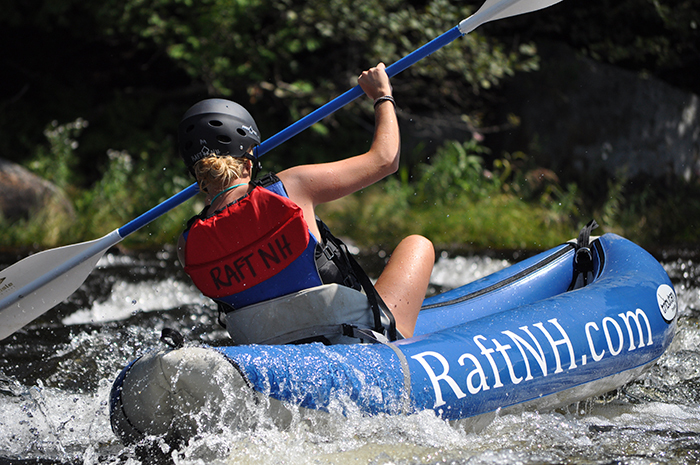 The Best of NH 2015 is filled with things to do and see from cooking classes and our favorite country inns to the best zip line in the state and the top places to take a hike. 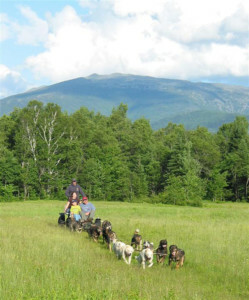 The Raft NH/Muddy Paws Sled Dog Kennel is the Editor’s Pick for Adventure-packed Day thanks to their unique whitewater rafting/rolling dog sled adventure combination. Cooking classes at Editor’s Pick the Taste of the Mountains Cooking School at the Bernerhof Inn range from sushi to Vietnamese cooking. 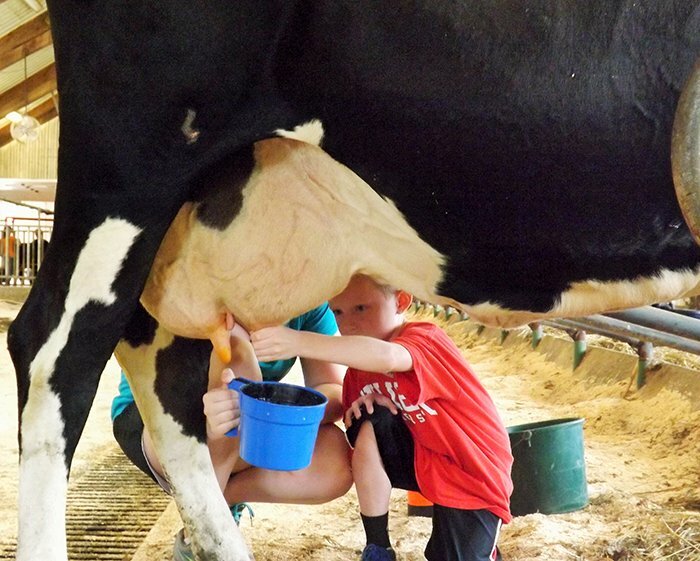 Stonewall Farm in Keene is an Editor’s Pick for Educational Farm. The Wild Rover Celtic Festival is our Editor’s Pick for Charity Festival. 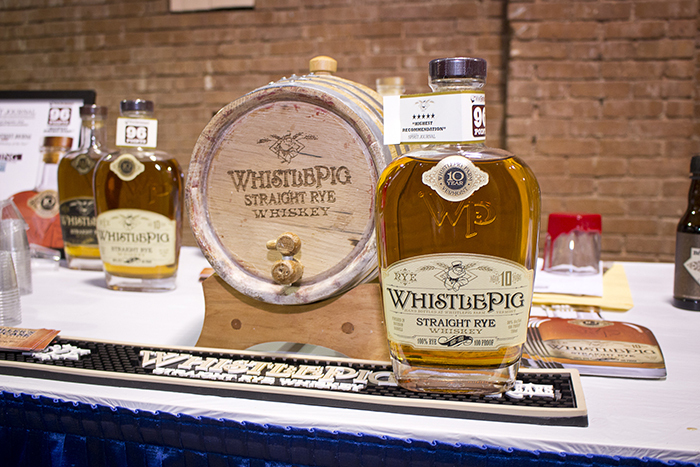 The Distiller’s Showcase of Premium Spirits, coming up this fall on Nov. 12, is our Editor’s Pick for Charity Tasting Event. Cooking Classes Readers’ Poll Winner Chez Boucher Culinary Arts Training Center in Hampton. The Ice Castle in Lincoln is our Editor’s Pick for Winter Wonderland. 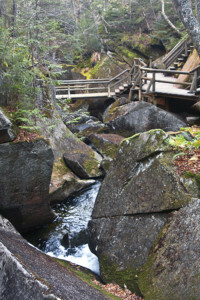 Explore nature’s wonders at Editor’s Pick Lost River Gorge and Boulder Caves in the White Mountains. 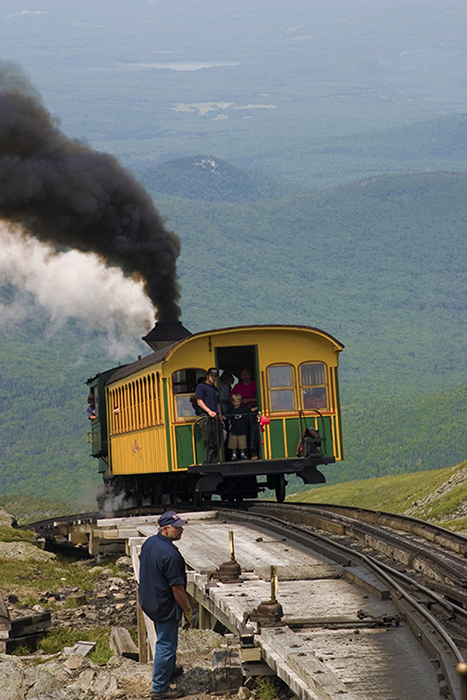 The Mount Washington Cog Railway is our Editor’s Pick for Historic Adventure. Editor’s Pick the Golf Simulator at the Manchester Country Club in Bedford. 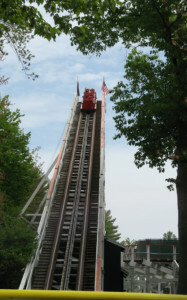 Editor’s Pick for Roller Coaster the Yankee Cannonball at Canobie Lake Park. From left: Editor's Pick for Winter Wonderland the Ice Castle in Lincoln, learn to cook at Editor's Pick Taste of the Mountains Cooking School at the Bernerhof Inn (photo by Susan Laughlin), Editor's Pick Raft NH/Muddy Paws Sled Dog Kennel (courtesy photo) and Editor's Pick the Mount Washington Cog Railway (photo by Stillman Rogers). Adventure-packed Day: Ever been whitewater rafting? How about dog sledding? What about both in one day? 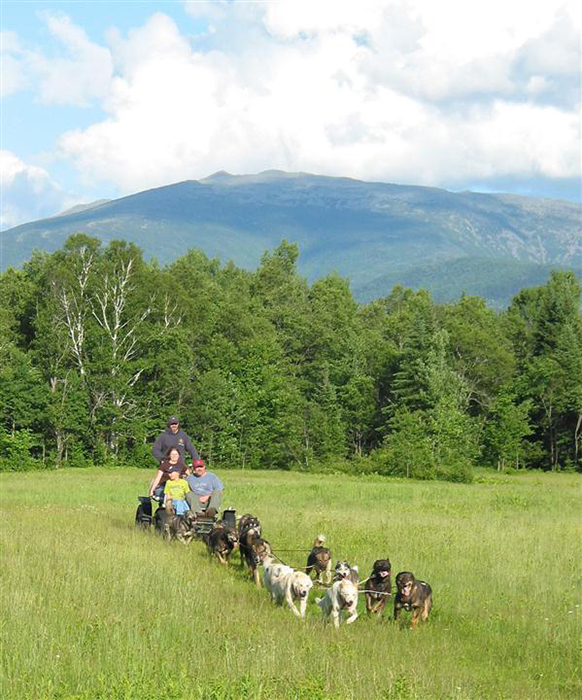 Raft NH, the summer persona of Muddy Paws Sled Dog Kennel, offers the Paws and Paddles trip, which is a unique day of fun that begins with rafting in Gorham and ends in Jefferson with an evening rolling dogsled ride. Armored Combat: Full-contact sword fighting isn’t for the faint of heart (or anyone without great armor). Fortunately, strong hearts and sound armor abound at The Knights Hall in Nashua. It’s part medieval re-enactment, part combat fitness program, part competitive sport (they sent one fighter to the international meet in Poland this year). And it’s 100 percent real fighting resulting (on a good day) in plenty of bruises and an occasional bit of blood. Best B&B at the Beach: The Victoria Inn in Hampton. A 10-minute walk along a tree-shaded street of stately homes and you’re ready to plunge into the surf at North Beach. Classically decorated rooms are a far cry from the usual beach cabins and motels, and breakfast is a crystal-and-linens affair that makes lunch unnecessary. For your own sunporch overlooking the garden, ask for the Garden Rose Suite. Best Hotel on a Ski Trail: At Eagle Mountain House in Jackson, ski out the front door of the historic grand hotel and you’re on the beautifully groomed Nordic trails of Jackson Ski Touring. After a day’s skiing — there’s about 100 miles of trails to choose from — return to Eagle Mountain House for fresh-baked cookies and hot cocoa in front of the fireplace in the lobby. Buzzworthy Festival: After a literal coffee break last year, this celebration of the culture in the cup that was born in downtown Laconia in 2013 is returning to its roots and will be full of flavor. The NH Coffee Festival on Sept. 19 is a must-do for everyone from discerning java mavens to those who enjoy sipping a simple cup of joe. In addition to high-quality, “farm-to-cup” libations, fun events like the coffee bean bag sack race and the coffee bean toss are also brewing. The entire coffee aficionado crowd is invited to this Lake City-wide party highlighting local coffee roasters, and make sure to leave room for coffee-flavored ice cream, coffee cake, coffee popcorn and other similarly flavored delectables. Charming Country Inn: The lovely and peaceful Snowvillage Inn in Eaton Center offers peace, relaxation, cozy rooms, gorgeous views of Mount Washington and fine dining at Max’s Restaurant and Pub. If that’s not enough to inspire a weekend getaway, they’ve put together some great incentives. Their live music packages include lodging, tickets to a show at the nearby Stone Mountain Arts Center in Maine, dinner, transportation to the show and breakfast. Special summer packages include antiquing or a day of paddling down the Saco River, and year-round fun includes their Foodie Escapes and a craft beer stay that includes tasting at area breweries. Check out their website for more details. Charity Festival: Each September the Wild Rover Celtic Fest (event details on Facebook) takes over Kosciuszko Street in Manchester for a fun-filled day that benefits a great cause — the Saint Baldrick’s Foundation, which raises funds to help find cures for childhood cancers. 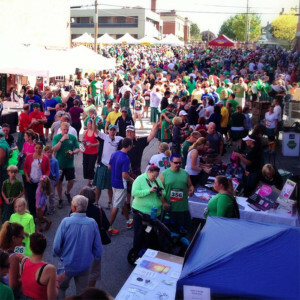 The festival is packed with entertainment that ranges from Irish dancing and cloggers to a morning road race and, of course, great food and drink. Think you might look good without hair? Join the folks who collect pledges and then have their heads shaved at the event — or just attend and watch as the locks fall. Charity Tasting Event: Coming up on its third year this fall (November 12), The Distiller’s Showcase of Premium Spirits to benefit the Animal Rescue League of NH, is one of the state’s newest — and best — tasting events around. 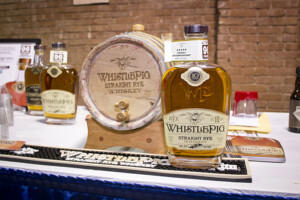 Whether you love a fine Scotch, smooth vodka or a classic gin and tonic, this fantastic event features more than 400 spirits to sample plus cocktail demonstrations, auctions, food from area restaurants and more. Educational Farm: Ever seen ice being cut from a pond? Held a baby chick? Explored a vernal pool? Watched cows being milked? 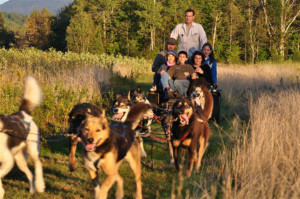 At Stonewall Farm in Keene, you can do all that and much more. The farm’s mission is to connect people to the land and to the role of agriculture in our lives, and they do it through extensive education programs for schools and the public, children’s camps, conferences and workshops. Far North Getaway: Experience northern hospitality in Pittsburg with an overnight stay in the rustic watchman’s two-room cabin at Mount Magalloway’s summit (3,383'). The trail is rated as moderate for hikers and, if you climb to the top of the fire lookout tower, one of only 15 in New Hampshire, on a clear day you’ll see commanding views of the Connecticut Lakes, the Great North Woods region, Vermont, Quebec and Maine. For a historic glimpse into the life of a watchman, book the stay in the cabin with the New Hampshire Department of Forests and Land. 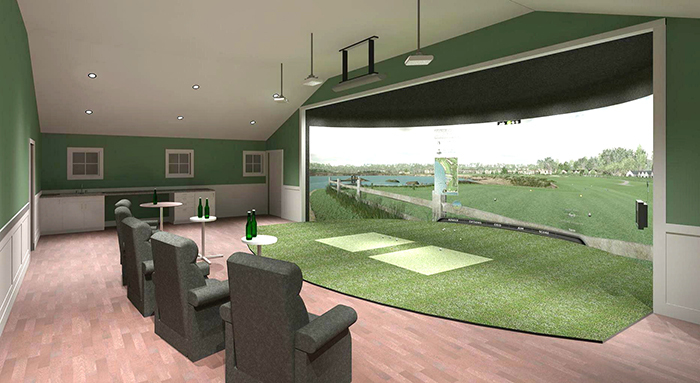 Golf Simulator: Want to play some of the world’s best golf courses — like St. Andrews, Pebble Beach and Harbour Town — all in the comfort (and, in the winter, warmth) of a clubhouse? You can — at the Manchester Country Club, a new, state-of-the-art IMAX Simulator produces images of 50 golf courses that span 22 feet in length and wrap around 160 degrees. The only one of its kind in New Hampshire, it’s great for indoor practice, private parties and corporate entertainment. 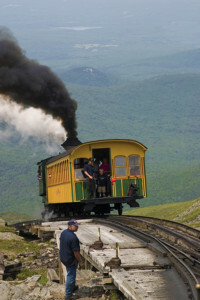 Historic Adventure: The Mount Washington Cog Railway, the only cog railway east of the Rockies, offers an exhilarating ride to the 6,288-foot summit where you can take in the view (all the way to the Atlantic on a clear day) and visit both the Observatory Museum and the historic Tiptop House. This 19th century feat of engineering is rich in history and modern innovation — you can ride either the classic steam engine or the new biodiesel locomotives. Historic Cooking Classes: The Concord Food Co-op and the Canterbury Shaker Village have teamed up to create the Wellness and Green Living Cooking Class series held at the Village. Classes include learning how to make with strawberries, cooking fish to perfection, canning and preserving, how to ferment vegetables, learning about bees and making lip balm with the stewards of the Village’s beehives and more. The classes are open to the public and aim to increase health, nutrition and a sense of community. Historic Restoration: In the mid-1700s, it was the home of Col. Benjamin Bellows, one of the founders of the town of Walpole. More than 250 years later, the 14,000-square-foot mansion still stands atop the hill, lovingly restored and elegantly updated as an inn. The Bellows Walpole Inn has eight guest rooms, a sitting room, a breakfast room and pub. The bar in the pub is made of wood taken from the old potato barn on the property. The barn, BTW, will soon be turned into a venue. Hurling Club: It takes a warrior to play hurling, the complicated 3,000-year-old Irish sport that is loosely akin to a full-contact combination of lacrosse and field hockey, and that is precisely who founded the state’s first American-born hurling club, The Barley House Wolves. Iraq War veterans from the New Hampshire Army National Guard began it all in 2006 as a way to stay connected as they adjusted to post-combat life. Raw rookies at first, they had to learn a complicated sport they had only seen on TV during fuel layovers to and from Ireland, but by 2013 they were national champions. The current team roster has veterans and active service members from all military branches, plus members of local law enforcement, fire rescue service and civilians. Sponsored by The Barley House Restaurant and Tavern in Concord, the Barley House Wolves play home games in Bow during warm weather. Local Museum: At Dover’s Woodman Museum, four buildings are packed with history, art, culture, natural sciences and quirky collections that include Native American artifacts, a full suit of Samurai armor, a 10-foot polar bear, a man-eating clam and President Lincoln’s saddle. The Damm House is an original garrison house, built in 1675 and filled with period furniture, cooking utensils, tools and needlework. Newest is the Keefe House Gallery, displaying fine art by contemporary NH artists. Locals-only Hiking Trail: Kilburn Crags in Littleton is one of those worthwhile treks known mostly to locals. It’s an easy hike with a bench a third of the way up and a picnic table at the top (pack a cosmopolitan lunch at The French Sisters Café on Main Street before the hike). The table offers a great view of the city with the Whites in the distance — the perfect spot to plan your someday ascent of a 4,000-footer while idly munching on a baguette. 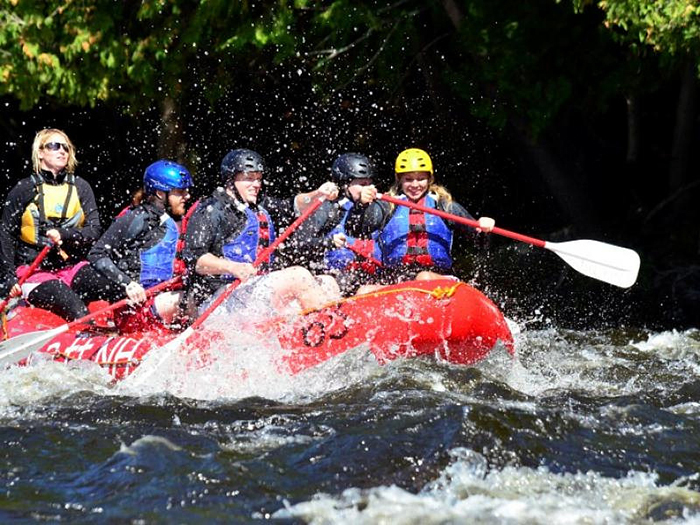 Natural Wonder: Kids and adults will be fascinated by nature’s power and beauty at Lost River Gorge and Boulder Caves in the White Mountains. Explore the massive gorge, caves and waterfalls created by the long-ago massive glaciers that moved across North America. 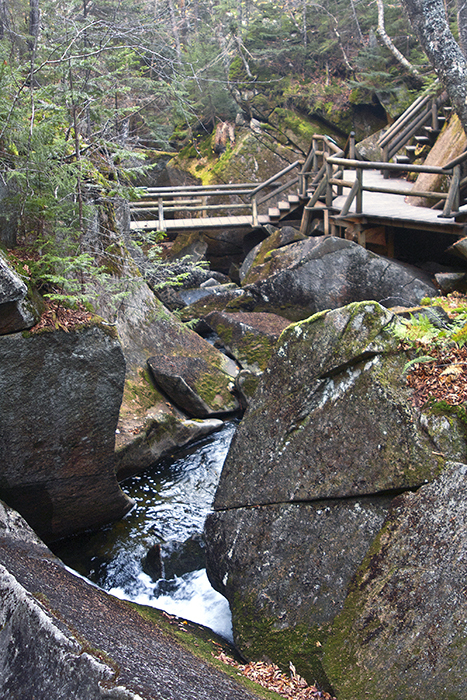 New for the 2015 season is a forest adventure trail near the base of the Dilly Cliff that takes you deep into the woods for a completely different experience along the 750-foot-long boardwalk trail. Spanning the upper gorge is a new 60-foot-long suspension bridge, with access to a treehouse and a bird cage overlook. Open Mic Night: The Andover Community Coffeehouse and Open Mic held in the East Andover Grange Hall is practically in the middle of nowhere, and only meets every third Friday of the month. Even so, it’s become a standing-room-only event on most nights with folks of all ages enjoying the cozy atmosphere, good inexpensive food and drink, and great heartfelt music from local stars. Off Road Trail: Jericho Mountain Park in Berlin is known for its large network of ATV trails and now more vehicular fun awaits! This summer North Woods Off Road Club invites you to hop in your truck and hit the brand new Jericho Trail, a 2.5-mile truck trail that debuted this year. This is the first such network of trails for trucks in the state. Outdoor Classrooms: Kids of all ages can connect with their inner Tinkerbell or Puck, spread their gossamer wings and let their imagination take flight at Petals in the Pines, the state’s only private facility certified by the Arbor Day Foundation and Dimensions Educational Research Foundation as a Nature Explore Outdoor Classroom. With 20 themed gardens and areas for art, music, play and construction, kids can build a fairy house or explore, create and learn to their heart’s desire amidst butterflies and dragonflies in a natural, fun and magical place. Birthday parties, with eight different age-appropriate themes for little ones to teens to choose from, are offered May through November. If your child’s special day falls during the other six months, a different, but just-as-fun event can be arranged during the season. Pasta Lessons: Spend a weekend overlooking Squam Lake and return home rested and wiser, with perfect pasta checked off your skills list. 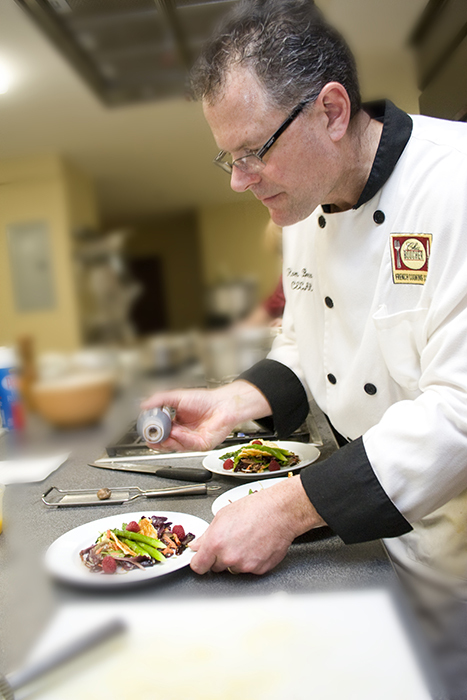 In his Fork in the Road cooking classes at Manor on Golden Pond in Holderness, Chef Peter Sheedy teaches all the fine points of pasta making, from choosing the right flour to serving with the right sauce. You’ll learn a lot of other cooking tips along the way and dine sumptuously at the inn. Small-town NH Event: Talk about red, white and blue — the New Boston 4th of July celebration is quintessentially American. Starting with an award-winning parade of floats and bands and kids on bunting-bedecked bikes, the day moves on to the firing of the historic Molly Stark cannon, a chicken BBQ, watermelon-eating contest, a horse-pulling competition and more, capped off by a dazzling fireworks display. Small-town Ski Area: For just $5, Wolfeboro residents can buy a weekday lift ticket at the community-owned and -operated Abenaki Ski Area. If you live outside of Wolfeboro, it’s going to cost you a whole $17. 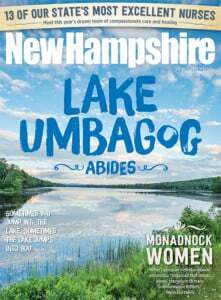 Not only is it inexpensive, Abenaki is historic — with its trails first cut in 1936, it’s the oldest small ski area in America. Touting a “small but mighty” snowmaking operation and no lift lines, the ski area continues to succeed, even being cited by Powder magazine as an example of community-run ski areas that are making a comeback as an alternative to larger and more expensive ski areas. Spring Hike: This is the time of year when Mother Nature emerges from her long winter’s introspection and there is no better place to see her resplendent glory than on the Franconia Ridge Traverse, which was named in March as one of the 10 best spring hikes in the United States by “Fodor’s Travel Guide.” The Franconia Ridge Traverse is an 8.9-mile summit loop trail bringing you to the top of a pair of 5,000 footers, Mt. Lincoln and Mt. Lafayette, as well as the smaller Little Haystack. The challenge is best for intermediate-and-above hikers, but the effort will reward them with the unequaled beauty of the 360-degree views, which are among the most popular in the eastern United States mountains. 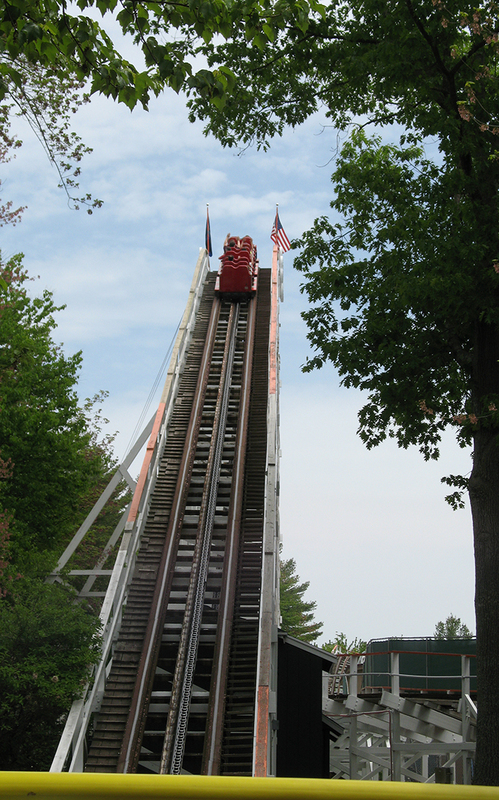 Roller Coaster: Head to Salem to take a ride into the past on Canobie Lake’s Yankee Cannonball, a 1930s-era wooden monument to the country’s love of thrills. It’s a quantum leap behind the new gyroscopic, cold-fusion-powered, mile-high coasters that are packing in the fans, but it has a clunky charm all its own. View of Lake Winnipesaukee: The views of the Big Lake and the mountains that ring it from Lockes Hill in Kimball Wildlife Forest are why picture postcards are made. To reach hilltop (1,057') hike the trail loop, which has the Quarry Trail following the old road by the original stone quarries to the left and the Lakeview Trail to the right. There are 15 trail markers describing the habitats of the abundant wildlife in the 280-acre forest, but when you get to the northern shoulder of the hill you have to search to see the centuries-old, crumbling Kimball Castle, which is now closed to the public. The castle has been uninhabited since 1960, unless you count the rumored ghostly residents. 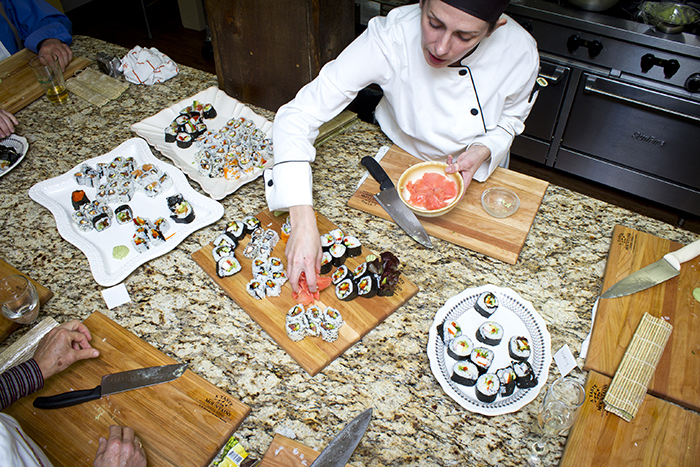 Weekend Escape: Gather a few friends for a private hands-on workshop with Chef Steffani Adaska at A Taste of the Mountains Cooking School at the Bernerhof Inn in Bartlett, and learn the secrets of sushi, Vietnamese cooking or the cuisine of Provence as you prepare dinner in Bernerhof’s beautiful kitchen. Before your class, relax in the cozy pub stocked with two dozen New England-brewed beers and ales. 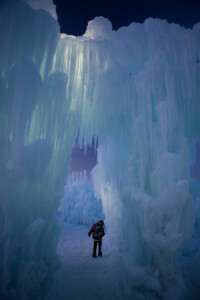 Winter Wonderland: For the past two years the Utah-based Ice Castles crew has created a magical winter experience in Lincoln. First hosted at Loon Mountain and then last year at the Hobo Railroad, this towering ice structure offers both day and night tours from January to March. While it’s a great experience no matter what, we suggest visiting at night when the embedded and constantly changing colorful lights create an ethereal effect that’s unforgettable.